The estate of Corstorphine has been a recognised area since the 1200s. Although only a small doocot now remains of 14th century Corstorphine Castle, the area has a number of historical buildings including the Old Parish Church. Famous residents of the area include Helen Cruickshank (poet), Henry Stevenson (sportsman) and Sir Chris Hoy (Olympic cyclist). 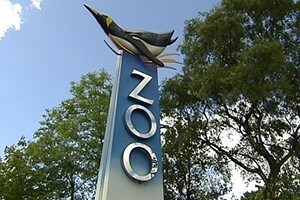 West of Edinburgh’s City Centre, it is home to Edinburgh Zoo – the city’s largest and most popular tourist attraction. Built around a busy main street, the area has a number of cafes, bars, restaurants and shops while also being within easy reach of The Gyle Shopping Centre. Properties in Corstorphine are mixed from traditional Victorian townhouses to traditional bungalows and modern developments. Restaurants, cafes, delicatessens and bars such as The Chinese Manor House, The Corstorphine Inn and Eastern Pavilion offer great food and drink. There is a large Tesco Extra right in the centre of the area, and plenty of local amenities including banks and shops. There are further supermarkets and shops at The Gyle, including Marks & Spencer and Morrisons supermarkets. Corstorphine is a quick journey into the City Centre with excellent bus links and easy car routes to other parts of the city. If you have a car, many properties in the area have either private or on-street parking. The area is close to the M8 motorway so perfect for commuting out of town to Glasgow, Stirling or West Lothian. There are a number of excellent local Primary Schools, including Corstorphine Primary School and Fox Covert RC Primary School. It is in the catchment area for Craigmount High School and St Augustine’s RC High School, but is also in easy reach of a number of public schools including Erskine Stewart’s Melville Schools, St George’s School for Girls, The Edinburgh Academy and Fettes College. Corstorphine is close to the West End (EH3), Gorgie (EH11) and Murrayfield (EH12).